Clarity Media produce and supply a wide range of puzzles. We create and license puzzle content for publication to newspaper, magazine and book publishers, in addition to a range of websites. Whether you require one or two puzzles or a fully laid out and packaged book, we can help. We also supply written content including brain training articles and more for publication in a range of media formats. Clarity Media are experienced puzzle suppliers, and create and supply a variety of puzzles to online and offline publications, including newspapers. 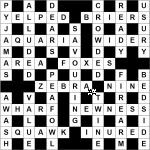 Puzzles include sudoku, kakuro, logic puzzles, Word Search, Word Ladders, codewords and large sudoku. We also provide a large range of childrens puzzles in addition to foreign language puzzles and puzzle questions for games together with puzzle instructions. We can provide a variety of content pieces and articles to specified length for newspapers, magazines and online publications. We can provide extensive material on the theme of puzzles, how to keep your mind active and exercise your brain. Whether on a general theme or specific topic with an exact word count, we can provide an article or series of articles perfect your publication. Find out about featuring our article content in your publication. 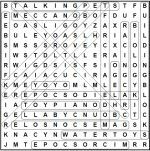 If you are looking for puzzles to play as an individual as opposed to purchasing content for publication, then we have a range of online and print puzzles for you. 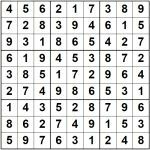 You can play thousands of puzzles across many different puzzle types at The Puzzleclub website. If you prefer to print puzzles, then we have a range of PDF puzzle magazines that you can download and print off. Please take a look at Puzzle Magazines to see our selection of many puzzle mags, including collections of unusual puzzles and some variants that you may not have come across before. If you run a newsletter, newspaper or magazine, then why not include puzzles in each edition? Not only do they provide fun and enjoyable content to compliment the rest of your title, they can also be linked to competitions or promotions to provide the required skill element. View our list of puzzles for more information on the full range of puzzles we have to offer you.